A lot of people disregard shipping fees at penny auction sites as the price they must pay in order to participate. They expect to pay a certain amount of money to have items delivered to their homes. But few realize that shipping deals at penny auctions vary. It is possible to pay nearly twice as much to ship the same item, depending on the site. With this in mind, we’ve reviewed the top penny auction sites with a focus on their respective shipping terms. You’ll see the results on this page. Realize there are many other aspects involved with choosing reputable penny auctions at which to bid for items. Our goal here is to isolate one of them, and demonstrate how it influences the price you’ll end up paying for any product you win. Rank Site Bidder Ratings Reviews Bid Now! The top chart above is created by ratings from real bidders on the specific category of shipping cost. Other penny auction sites may ship out faster but the above chart ranks the sites based on bidder input of their shipping costs. This chart contains bidder ratings of the how fast a penny auction ships items. If you want to know which bidding site has the fastest shipping then read the reviews of the top penny auction sites in the “fast shipping” ratings category. Remember, those charts above are generated via real bidder input and change dynamically over time as new bidder ratings are added to the calculations. The best penny auction shipping deals encompass more than merely the delivery cost of a particular item. It’s important to consider how quickly the site manages to put your items in the mail as well as their reputation for fulfilling deliveries. To that end, there are numerous complaints online regarding penny auction sites’ lack of follow-through. Auction winners complain that it can take months for some sites to deliver products. It doesn’t matter if you save a few dollars on shipping if you’re forced to wait several weeks longer than promised. The five sites profiled above maintain solid reputations with regard to their shipping policies. It is one of many reasons we recommend them. Before choosing the best penny auction site for shipping deals, we took into account delivery fees, shipment speed, and each site’s track record for fulfilling deliveries. Our choice is HappyBidDay.com. In our experience, they have consistently shipped products more quickly than other sites. Moreover, they have been able to do so without glitches. We understand that the delivery of items may occasionally be delayed. But we have yet to experience that problem with HappyBidDay. Whenever you take part in a penny auction, you should always consider the item’s delivery cost. Factor the cost into your bids. It’s tempting to dismiss it, and worry about it after you have won the auction. But you may find that the “amazing bargain” you recently won is decidedly less so after you pay for shipping. For example, suppose you are bidding for a $25 Applebees gift card at QuiBids.com. You end up spending $12 in bids to win the card. QuiBids adds a $1.99 delivery cost to gift cards, which brings your total cost to nearly $14. It’s still a great bargain, but it pays to maintain an accurate perspective. By finding penny auction sites that offer generous shipping deals, you can minimize the cost you pay for any given item. This essentially has the same effect as using fewer bids to win. Below, we’ll present the best penny auction shipping deals we have found. We’ll limit our coverage below to the sites we have reviewed and recommend. It does little good to cover a penny auction site with great shipping terms that is unwilling (or unable) to fulfill deliveries. Also, the details below offer the most value when compared next to one another. To that end, we’ll present delivery costs for common products so you’ll be able to compare them side by side. HappyBidDay.com – They promise to ship items within 7 days of receiving payment. But they tend to ship much more quickly. They charge $2.50 to deliver gift cards, approximately $19.99 for laptops, and $9.99 for iPods. You can track deliveries online through your account. QuiBids.com – QuiBids claims that you should receive your items within 14 days of sending payment. But they cannot guarantee this since they lack control over the mail system. In our experience, their shipping speed is average. The delivery charge for gift cards is $1.99; the fee for notebooks is $19.99. 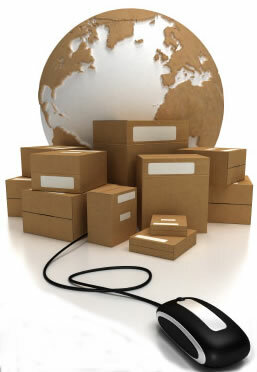 Most deliveries can be tracked within your account. SkoreIt.com – SkoreIt offers a unique feature for determining shipping charges. On each product information page, you’ll find a “Shipping” tab. Once you click the tab, you’ll be asked for your zip code. Input your zip code and click the button titled “How Much Is It?” You’ll see three options: UPS Ground, UPS Second Day Air, and UPS Next Day Air. Each option poses a different delivery cost. For example, UPS Ground for a Macbook is $11.50 while Next Day Air is $38.50. Hopefully, other penny auctions will take note, and offer similar flexibility down the road. BidCactus.com – They promise that all items will be received by the auction winners within 15 business days of paying for them. In our experience, they have never broken that promise. BidCactus’s delivery charges are straightforward. Each item’s shipping fee is listed at the bottom of the product information page. The delivery charge for gift cards is $2.50; iPods are $10.90; and the fee for Macbooks is $19.90. Unfortunately, they do not offer the same level of flexibility with regard to shipping options as SkoreIt.com. Beezid.com – Some of Beezid’s delivery fees are among the lowest we’ve seen at the top-rated penny auction sites. However, some of their fees are higher. For example, they charge $2.99 to ship a gift card. Meanwhile, they only charge $6.99 to ship an iPod and $14.99 to ship a Macbook (still higher than SkoreIt, however). They claim that items should arrive at the auction winner’s home within two to three weeks, though they admit they cannot guarantee it. Beezid encourages members to contact them so they can track down packages that have failed to arrive on time. You’ll find that the best penny auction shipping deals are distributed across the five sites profiled above. No site has a monopoly since each poses advantages over the others. For instance, HappyBidDay ships quickly; Beezid’s shipping fees are lower on popular items; and SkoreIt offers more shipping flexibility than their competitors. For this reason, we recommend visiting each one, and taking advantage of their promotions. Use the free bids they offer to new members to test drive the experience.